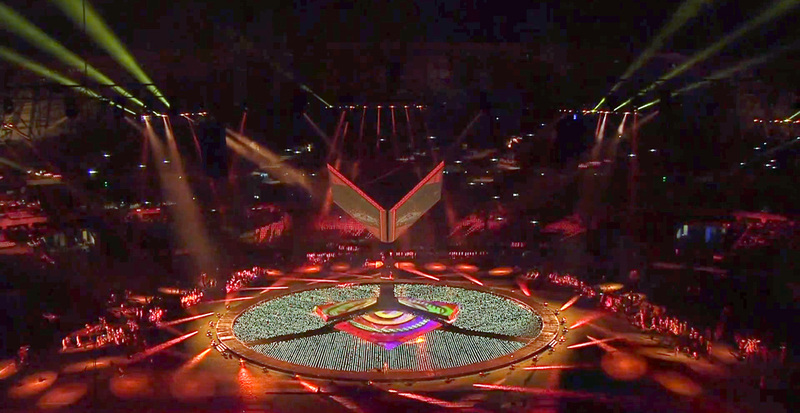 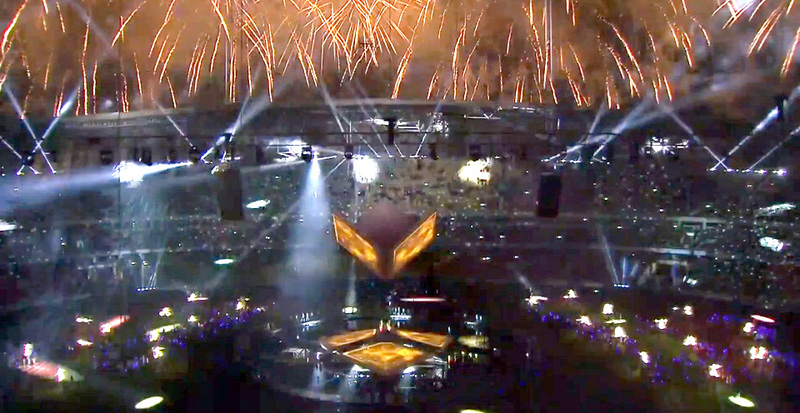 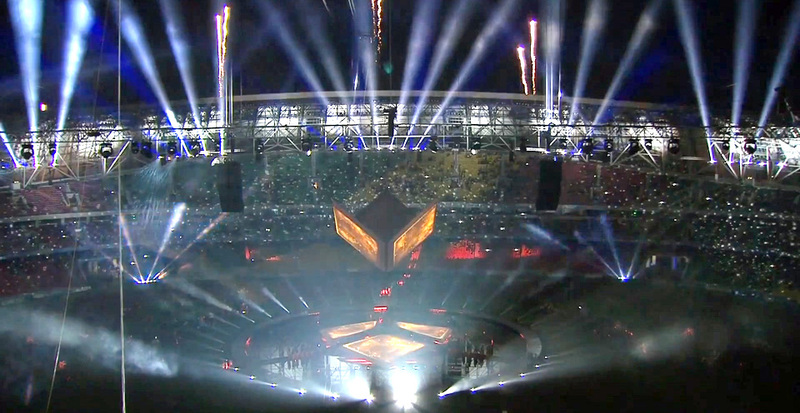 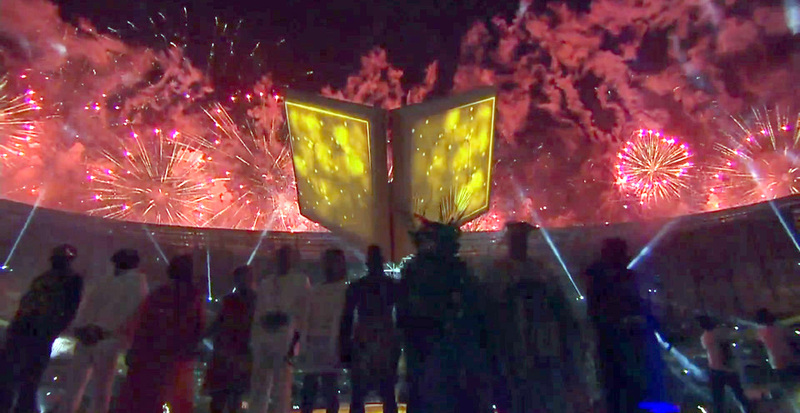 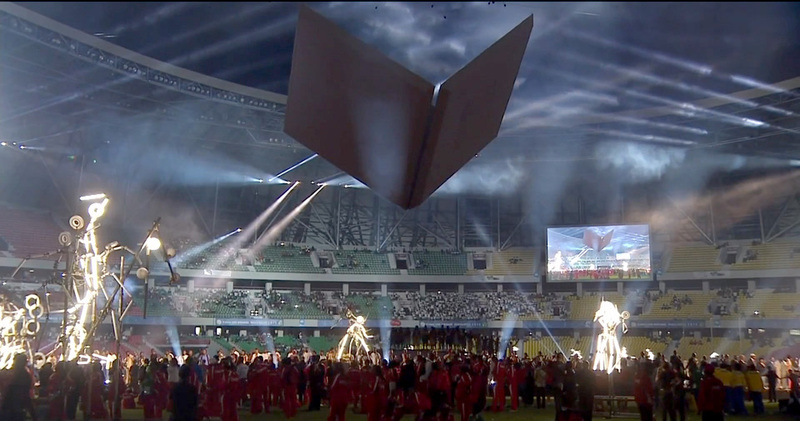 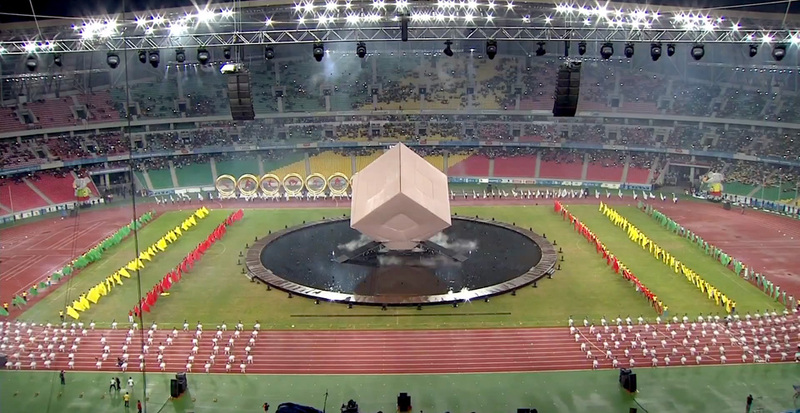 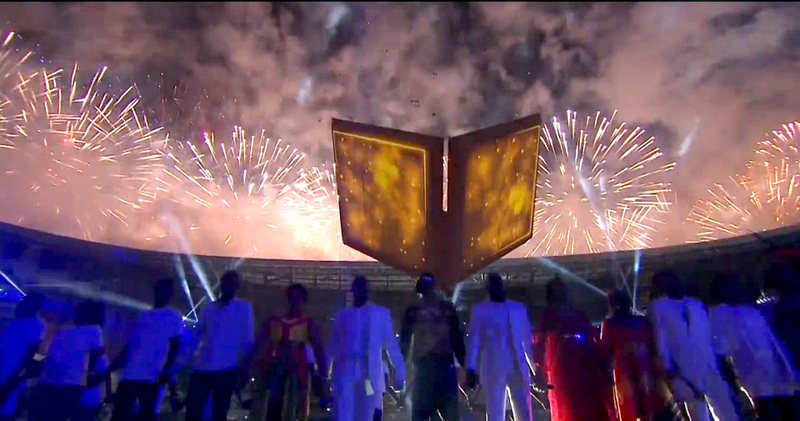 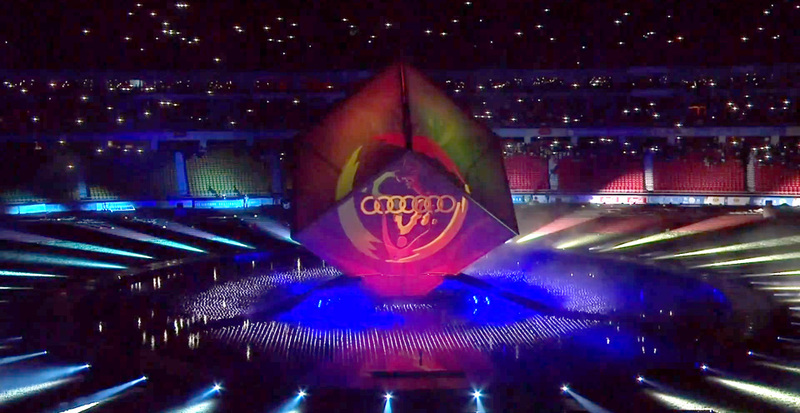 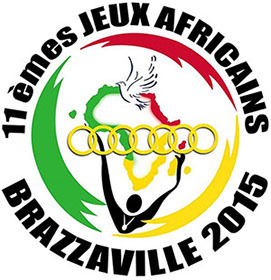 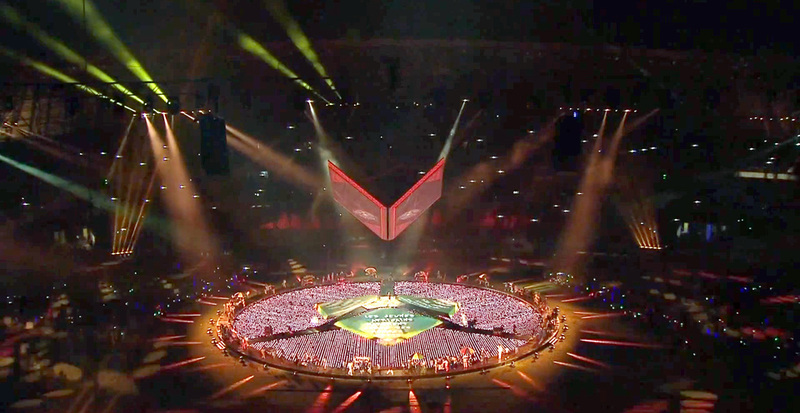 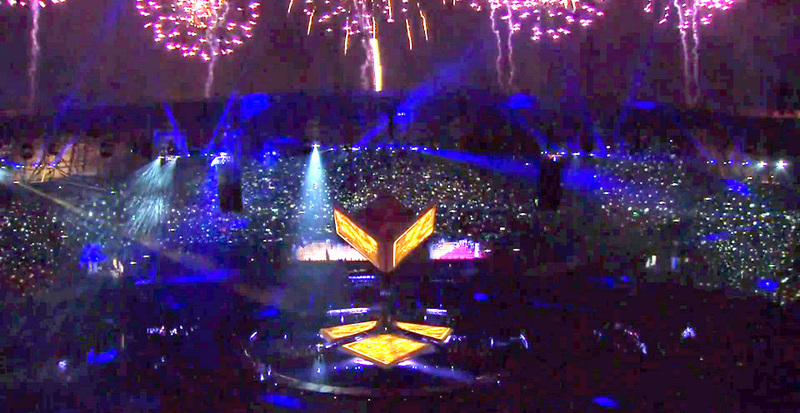 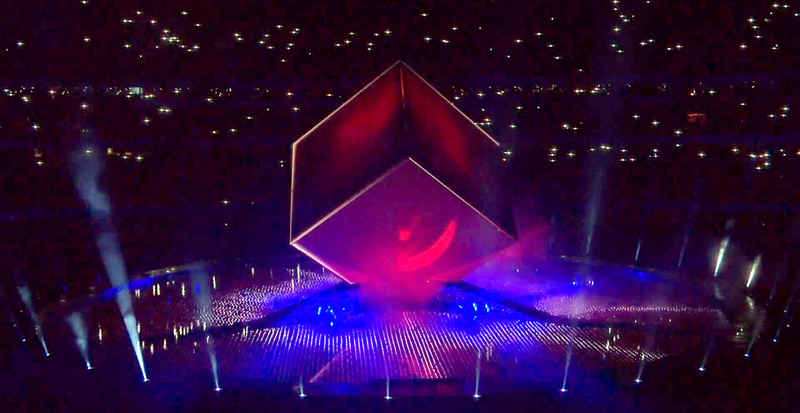 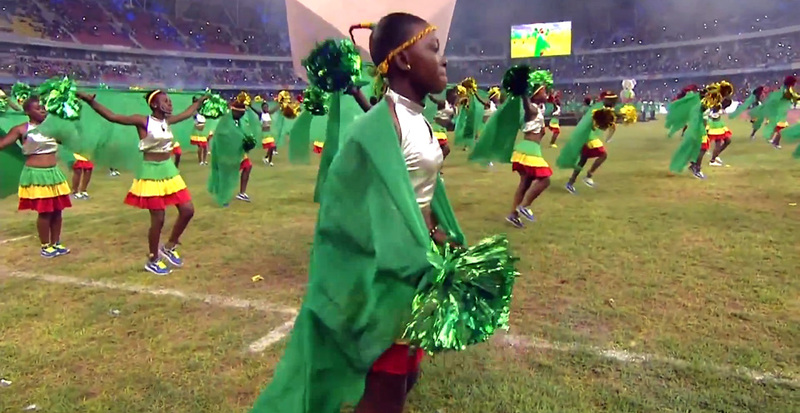 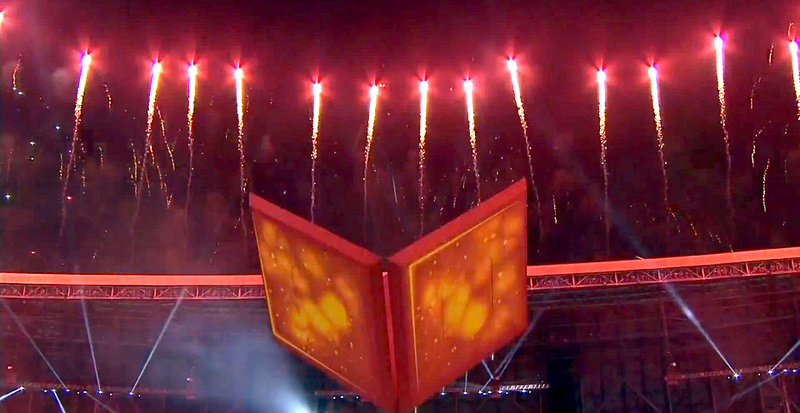 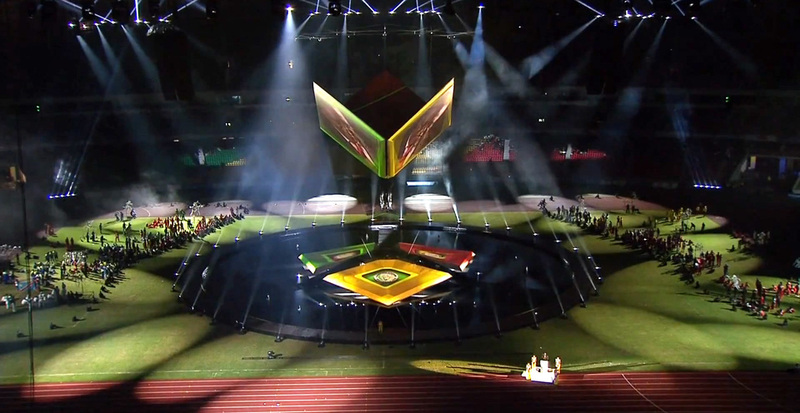 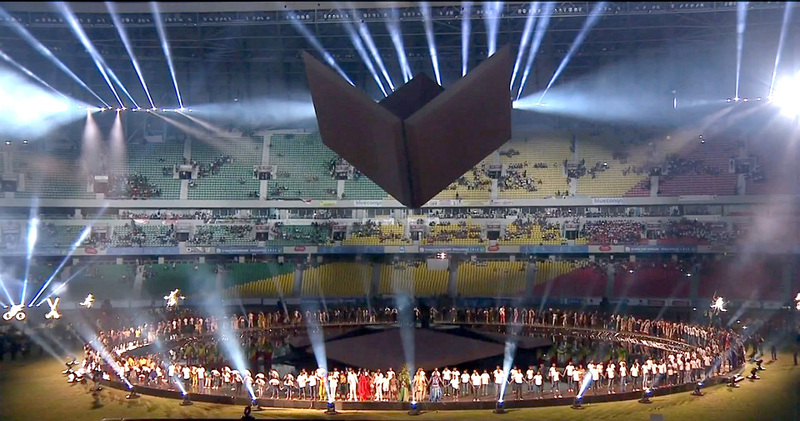 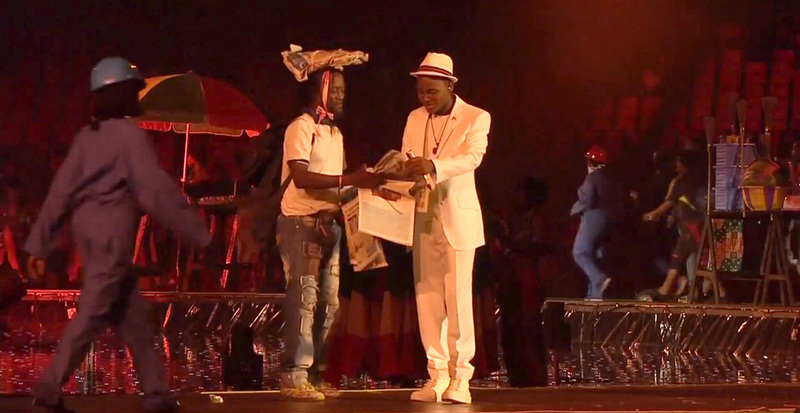 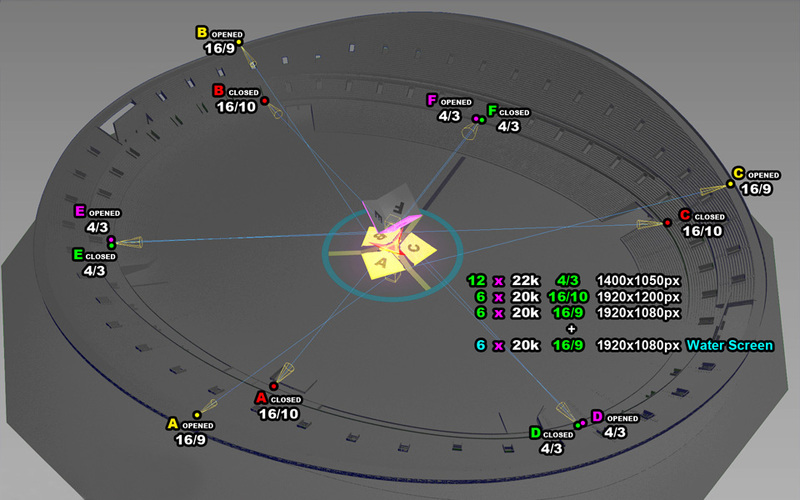 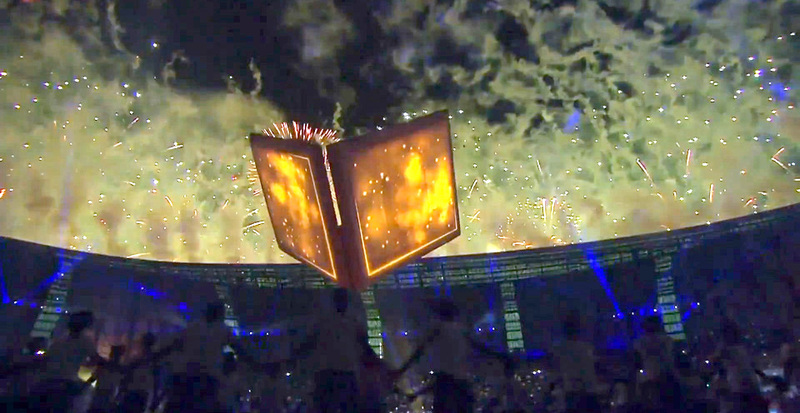 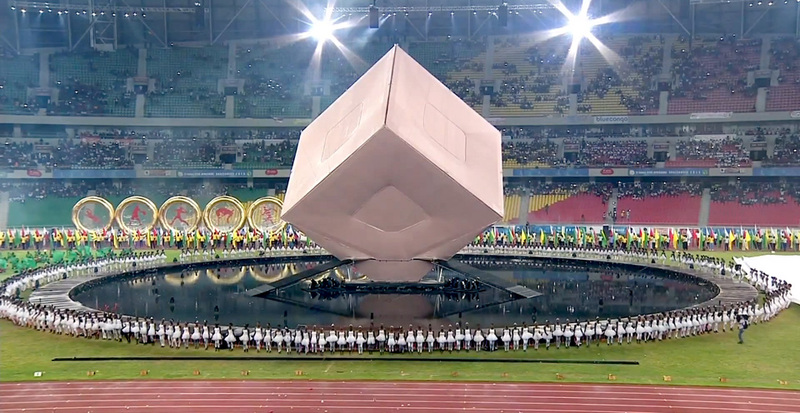 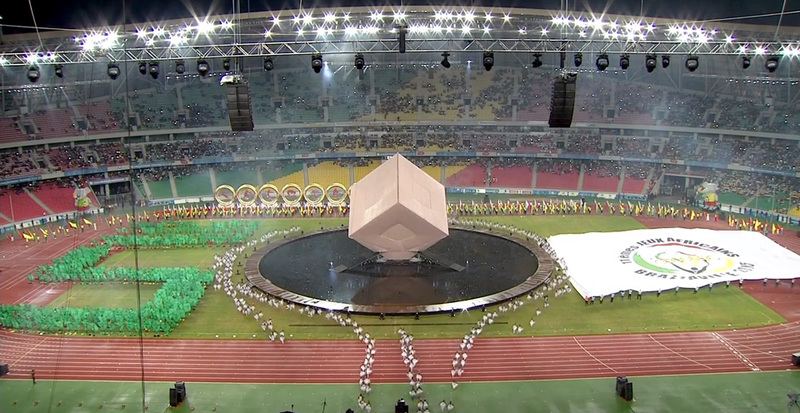 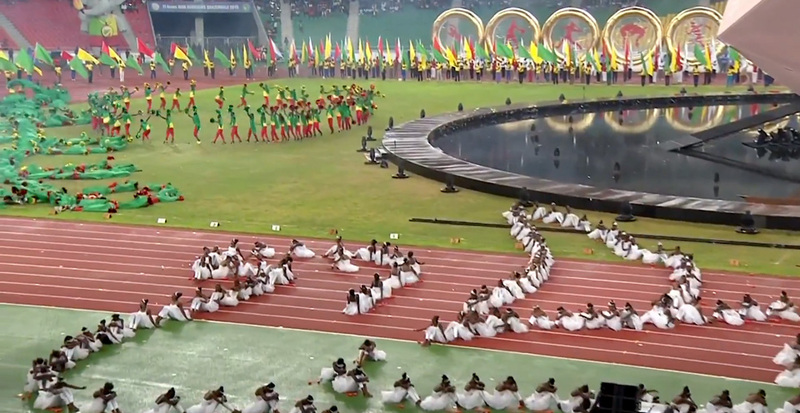 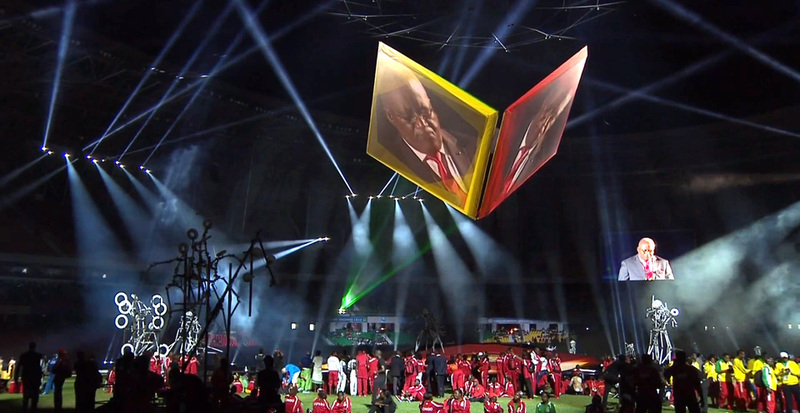 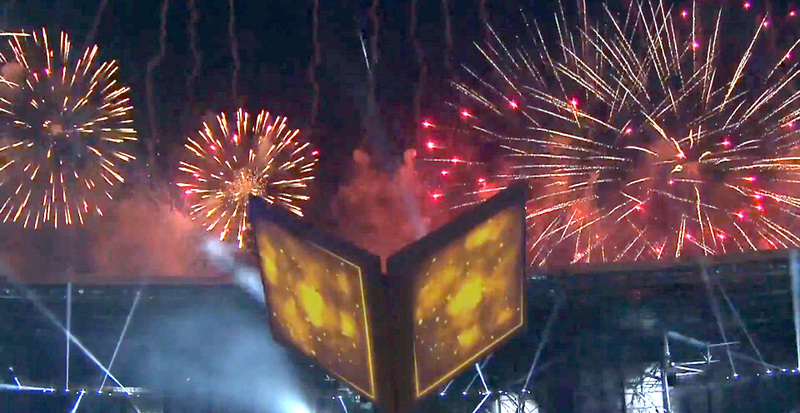 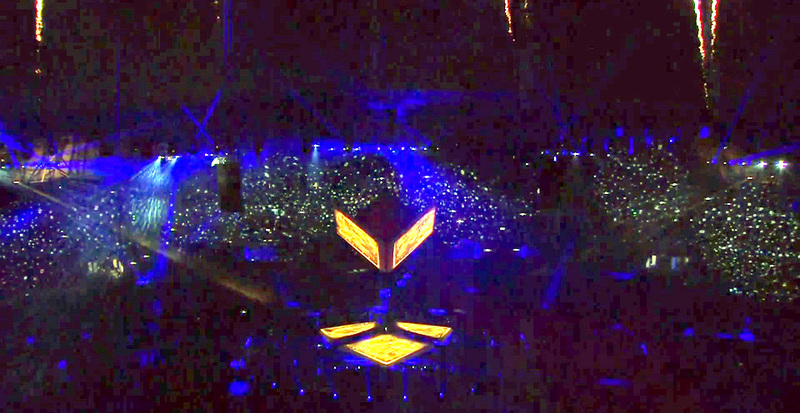 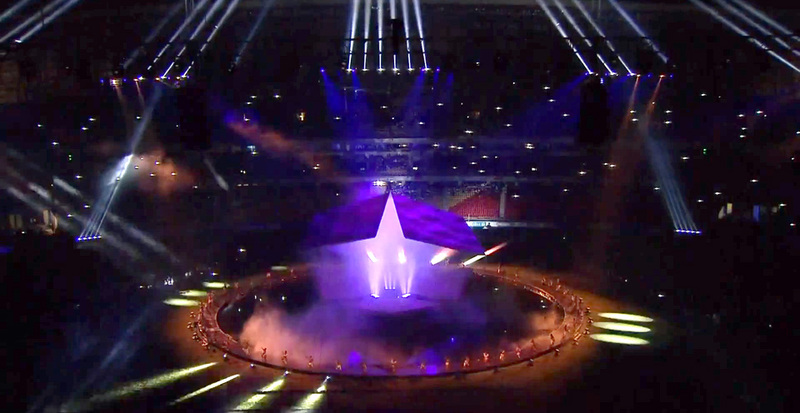 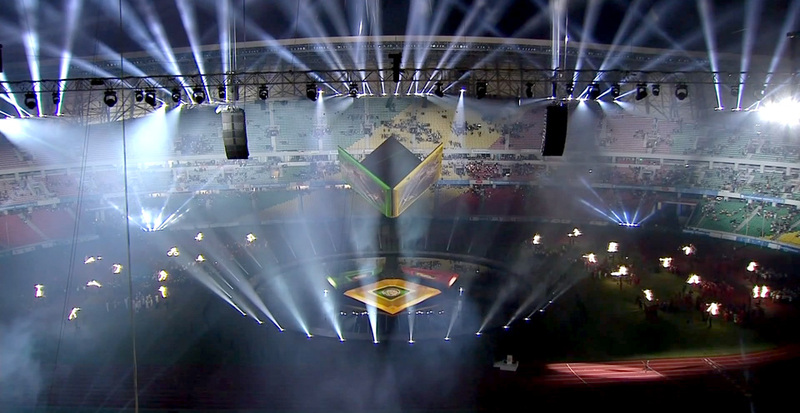 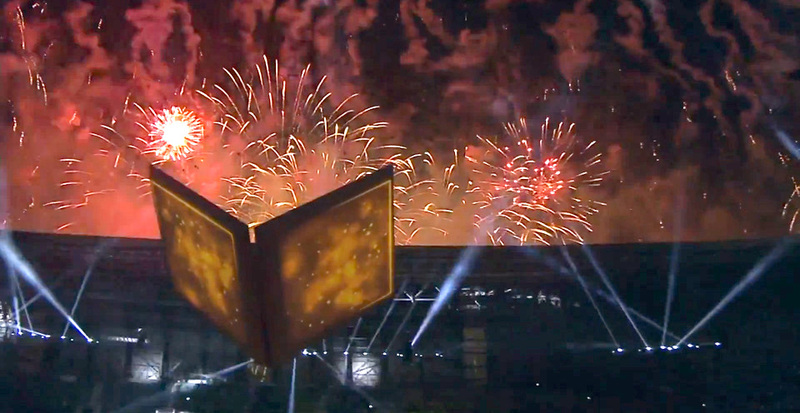 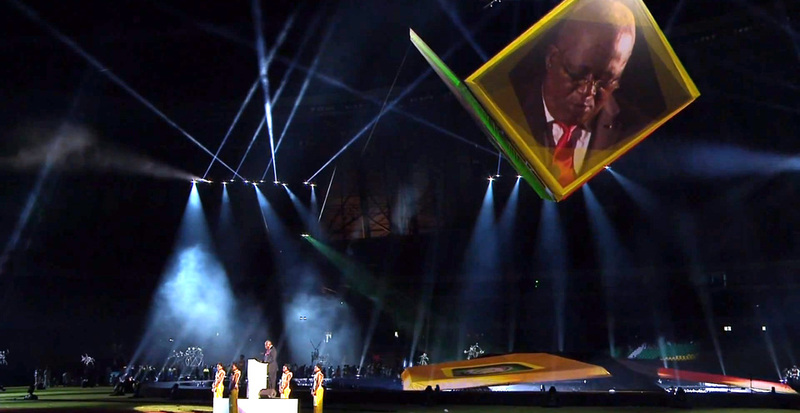 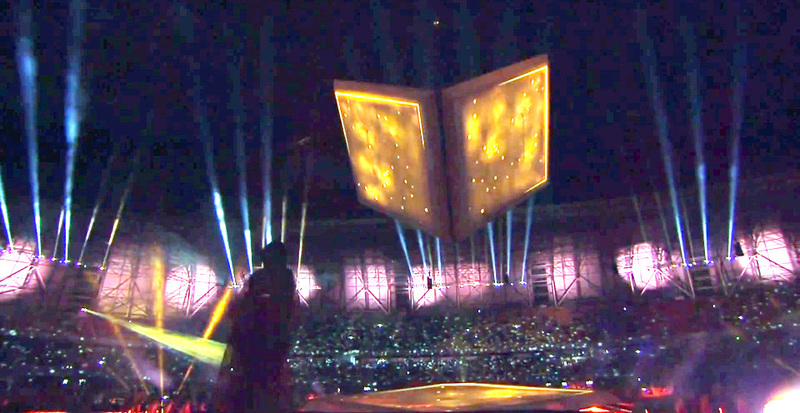 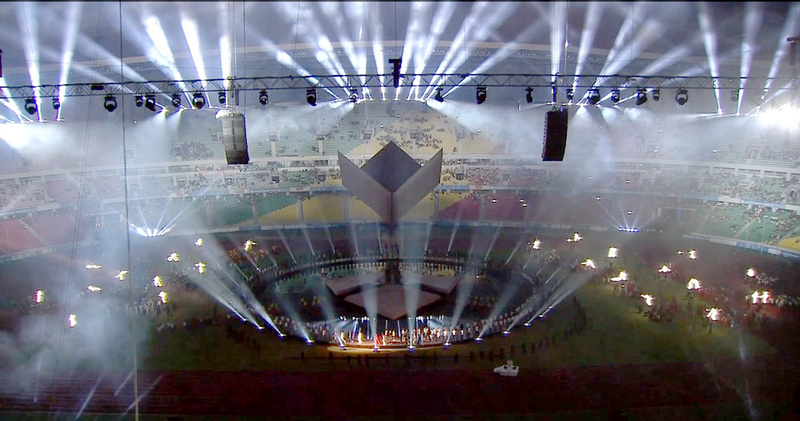 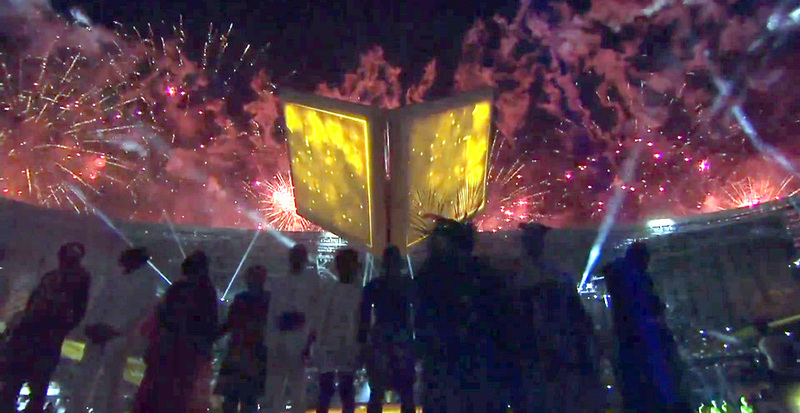 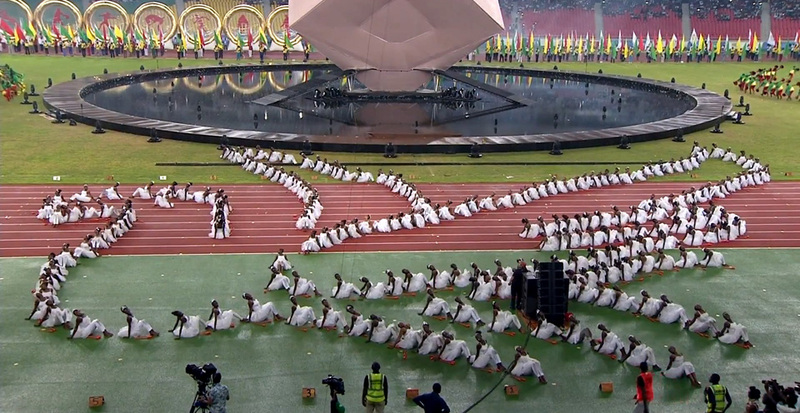 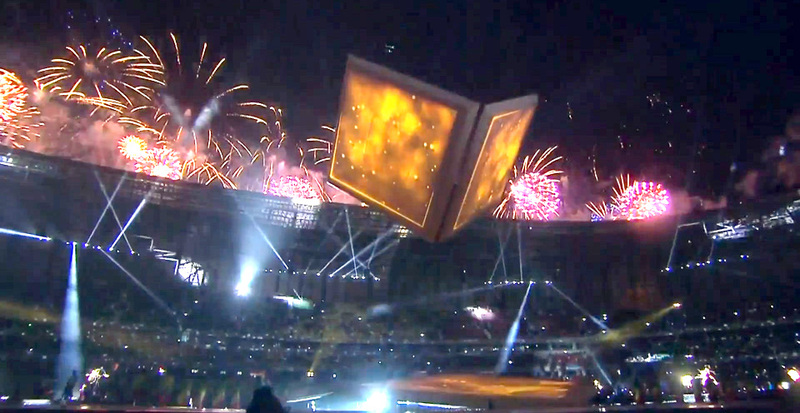 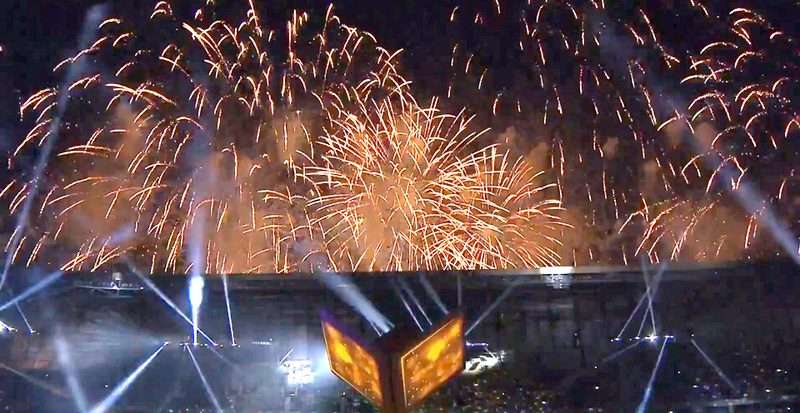 The video mapping into the Brazzaville Stadium Kintélé in occasion of the closing ceremony took place on September 4, 2015, and was handled by 30 Christie video projectors for the stage plus 6 video projectors for the Water Screen. 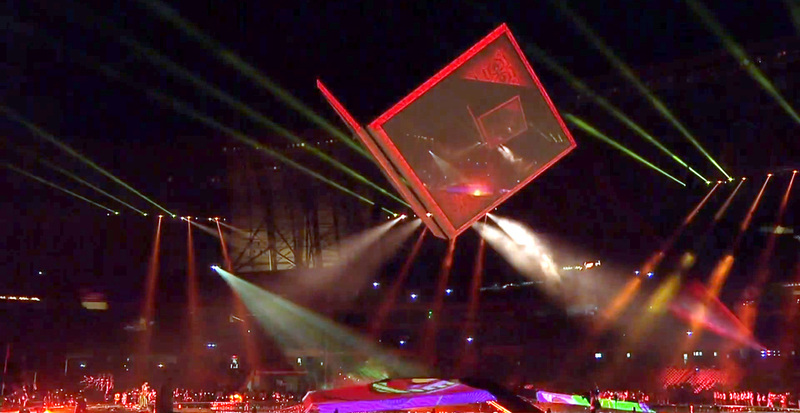 On the stage a huge cube standing on one corner and that open, close and shift up and down during the show. 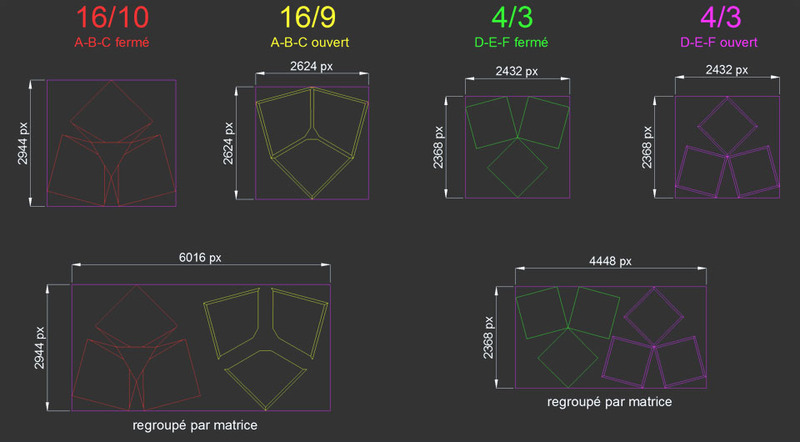 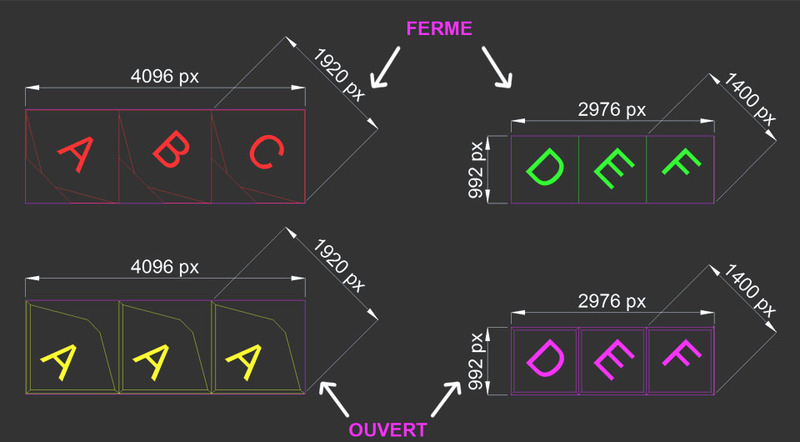 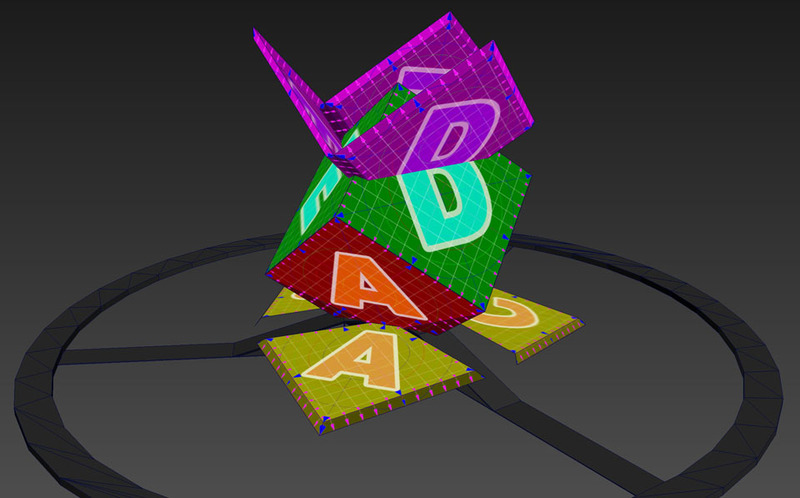 Above you have some images illustrating the texture creation on the cube. 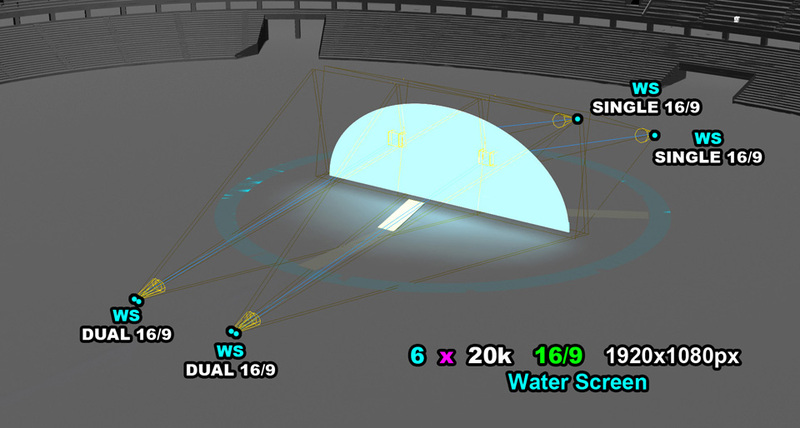 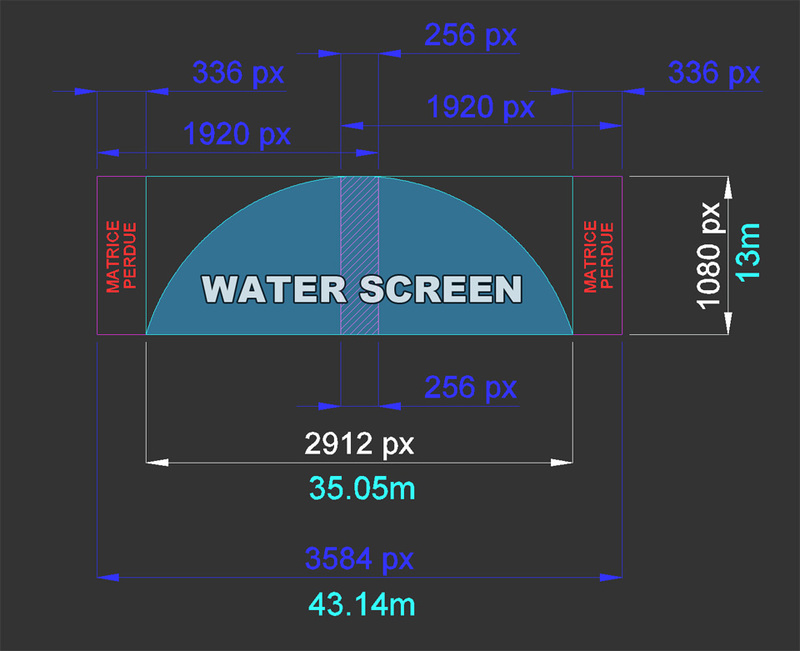 Below the water screen layout.